This entry was posted in Crafty and tagged craft, DIY, Home, Pinterest by Rachel. Bookmark the permalink. Just put the house number in the same color red somewhere on there. 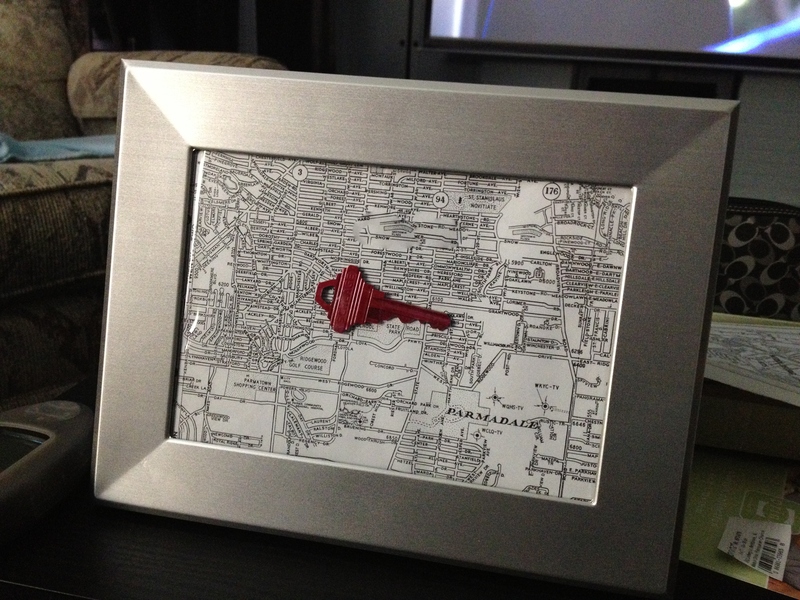 You could do it on the map itself centered under the key, or if you’re good at freehand painting, paint it on the frame at the bottom.